Greeting of Ambedkarists and Navayana Buddhists. It's literally means "Victory to Dr. B.R. Ambedkar". Jai Bhim is a greeting used by followers of Ambedkarism. Jai Bhim literally means "Victory to Bhim" referring to B. R. Ambedkar, an Indian jurist, economist, politician and social reformer and the principal architect of the Constitution of India. 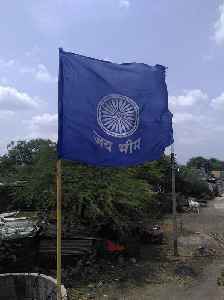 Jai Bhim is also used as a brand name"Jai Bhim Products" and slogan by some political parties like the BSP.